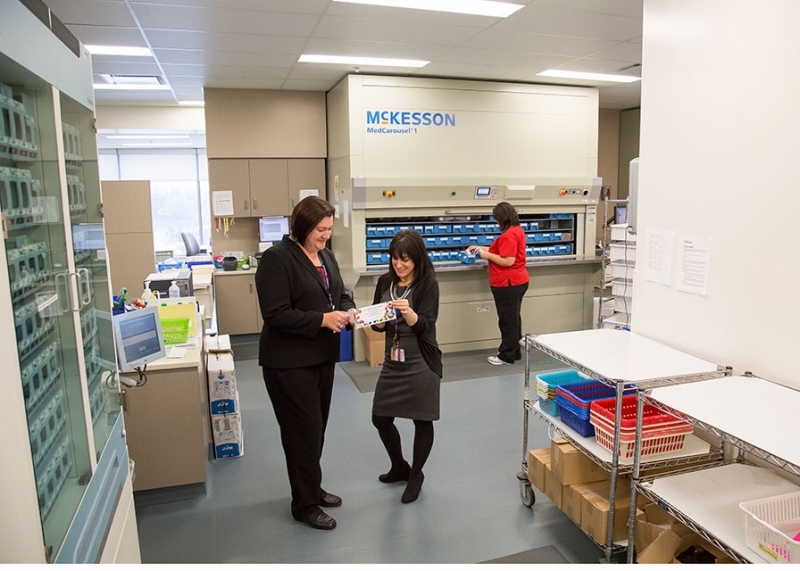 Consistency and persistence have been the key to success for the team responsible for implementing the admissions Medication Reconciliation process at Niagara Health. Ensuring a standard medication history-gathering and documentation process when a patient is admitted, which includes speaking to patients about their home medications, has improved patient safety and care. Providing a complete medication history includes sharing medication names, strengths and dosages of all prescriptions, over-the-counter medications, vitamins, supplements and natural remedies. Patients are encouraged to print off the Your Medications Matter brochure from the Niagara Health website and create a list of their current medications and bring this list when visiting the hospital. Assistance completing an up-to-date medication list is available from healthcare providers and local pharmacies. The approach has been introduced slowly and carefully site by site, and unit by unit, to ensure its success, Susan said. The work Dr. Andrea Delrue, Physician Medication Reconciliation Lead, has done with doctors over the last year has also played a huge role in the program’s success, she added.